Penrith supremo Phil Gould has taken aim at referee Grant Atkins in the wake of the incident involving North Queensland duo Nene Macdonald and John Asiata last Friday night. The NRL announced on Monday that Atkins and fellow whistleblower Gavin Badger had been demoted after they allowed play to go on for nearly a minute while Macdonald (broken ankle) and Asiata (hyperextended elbow) lay on the field following an ugly collision in the game against Melbourne. The situation was labelled a "disgrace" and a "debacle" by Cowboys coach Paul Green following the game, especially after footage showed the club trainers trying to get the attention of the referees to stop play. "Whether or not (the referees) knew there was something wrong back there and ignored it, that's really the point," Gould told Channel 9's 100% Footy. 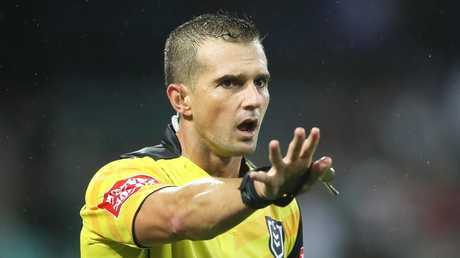 "Grant Atkins is potentially a very good referee, he's not a good referee because he interferes with the game, he follows what we call process, he doesn't use discretion or have a feel for the game. "This is a perfect example of him saying 'the process is this, therefore I didn't have to stop the game', where common sense would have told you that if he was aware that was a serious injury, they needed to stop the game whether process was being followed or not. "This is how these referees have been educated for a long period of time and we need to get them out of it to have a feel for the game and read the game. "They need to revaluate the process." Cronulla skipper Paul Gallen said he wasn't surprised the touch judges weren't dropped as well, while also calling on the match officials "to get more personal". "The referees have lost that personality and relationship with the players," he said. "You got to talk to them sometimes as a captain … these days there's just no relationship it's just a blank 'No' because they're following a process." 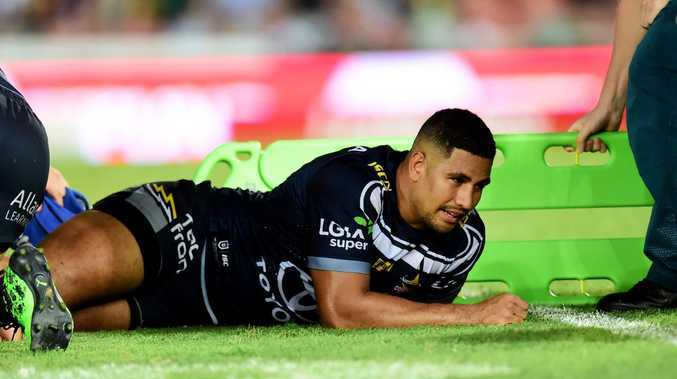 Macdonald will be sidelined for up to six months with a fracture and dislocation of his ankle, while Asiata will be assessed in the lead-up to the Cowboys' game against the Warriors on Saturday.